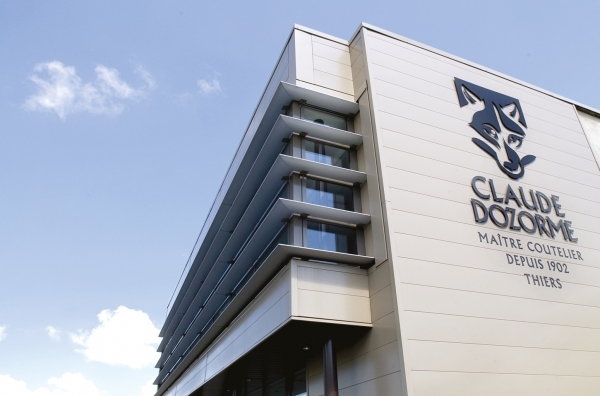 With 18 employees distributed among the various workshops of the manufacturing chain, the Claude Dozorme cutlery firm produces several hundred knives from start to finish at its site every day. Steel cutting, grinding, polishing, assembly… the key steps in manufacturing a Claude Dozorme stamped product have not changed for over a century. Over this time though, the knife-making trade has incorporated new methods, allied with the emergence of new technologies, to obtain products – knives, forks or even champagne sabres – that are both avant-garde and artisanal, and boast unrivalled quality. In 1993, the business was reborn as a new company, bigger, better adapted and more effective. The new 700 m2 building built to a simple and stylish design grouping workshops, offices and a superb showroom used to display the full range of Claude Dozorme manufactured products marked the beginning of a new era for this family business. The company made several investments in modernizing its production tool : laser cutting machinery (the first in Thiers), a blade grinding centre, etc. Everything was now in place to produce exclusive collections, with the focus on a greater range of limited series designed to follow market trends. Today, the history of a Claude Dozorme knife is inseparable from the choice of steel. Exceptional cutting edge, simple sharpening, hardness of the blade… These are all qualities that are inherent to the steel used to make the knife. Whether stainless or Damascus, the steel undergoes a strict selection process to ensure it is fully conform to the brand’s quality requirements. Each year, the company converts nearly 10 tons of steel from major steelworks in France, Germany or Sweden. The first step in making a Claude Dozorme product takes place on a computer screen. The blade is drawn using CAD to ensure greater manufacturing precision, in addition to allowing greater creativity in the shapes and details. 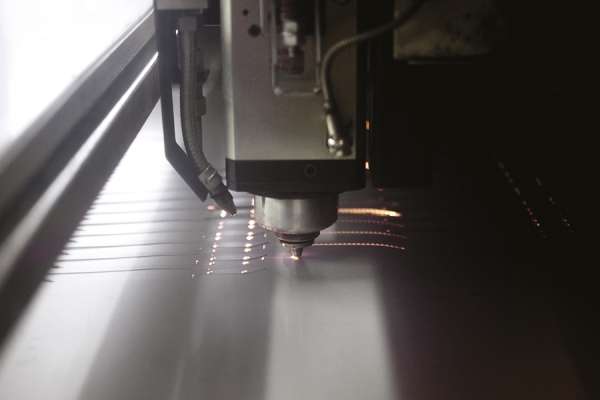 The next step is laser cutting : a digitally controlled machine is used to cut the knife blade with an accuracy of a few tenths of millimetres. 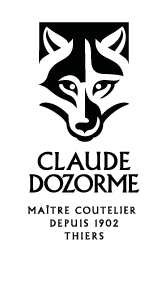 The Claude Dozorme firm is one of the first companies in France to have used this cutting-edge technology in the cutlery manufacture sector. The steel first undergoes a dual heat treatment, quenching, a high-precision operation that strengthens the blade’s mechanical properties and modifies the steel’s molecular composition. The blade then goes on to the hardness test, followed by grinding. This step, which consists in grinding the blade to refine it, gives the future blade its long life, a durable sharp edge, the quality of its cutting power and the possibility of re-sharpening the blade several times after use. This is why the Claude Dozorme firm takes exceptional care over the grinding step in particular (blade grinding). In earlier times, this operation was done manually. Today, this crucial step in developing blade edge is optimized using high-precision, digitally-controlled grinding machines. The blade then goes to the polishing workshop to be given its brilliant, shiny finish. Some models will have been previously hand-guilloched, which involves marking various designs on the back of the knife; a customized approach that can even include engraving the future owner’s name on the knife. For other models, it will be necessary to fix the fly that will decorate the back of the knife, while others still will receive one or more bolsters, riveted metal parts that decorate the handle. Most of these steps are done entirely manually, requiring high-precision, sophisticated work by qualified artisan knife-makers. The next steps are to shape and then polish its handle (wood, horn, shagreen, leather or even plexiglas, the possibilities are endless) using sisal and cotton disks that enable the bolsters and handle to be perfectly adjusted. Once the handle has been perfectly formed, it has to be buffed to give it its smooth, shiny appearance. We now come to the final key step in the knife’s manufacture, sharpening. This is a crucial step that gives the knife its perfect cutting edge. Once it has been polished, buffed and sharpened, the knife is nearly finished. All that now remains is to engrave its signature with a laser. This is a highprecision, indelible marking that can be adapted on request to include customized designs. Next, the knife arrives at quality control: the cutting edge is checked, the blades are dried, and the markings and sharpening are checked. 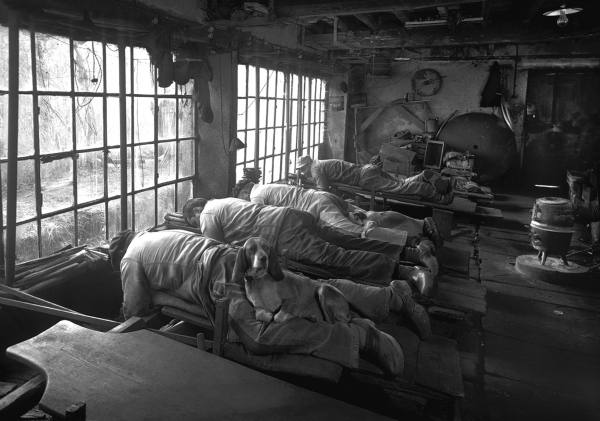 In all, there are over 45 stages in making a knife, several of which are still manual and highly artisanal. Cutlery has improved thanks to new methods but the real know-how from men is essential in the knife making process. 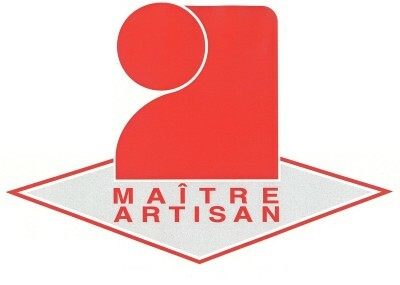 It is for this unrivalled expertise, that goes hand-in-hand with innovation and is passed down through the generations, that Claude Dozorme was awarded the title of Maître Artisan Coutelier by the French Chamber of Trade. With a view to the long-lasting success of his business, this superlative cutlery manufacturer continues to provide his employees with regular training both in ancestral and the latest cutting-edge manufacturing techniques. 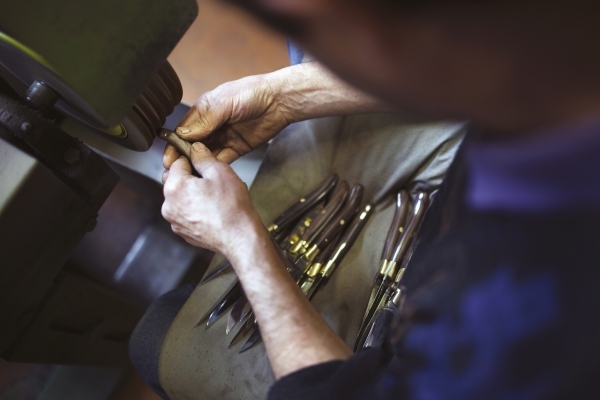 In 2009, to reward it for its deep roots in the region and its success, the Claude Dozorme cutlery firm was awarded the Entreprise du Patrimoine Vivant label, a guarantee both of its expertise and the fact that its products are made entirely in France. 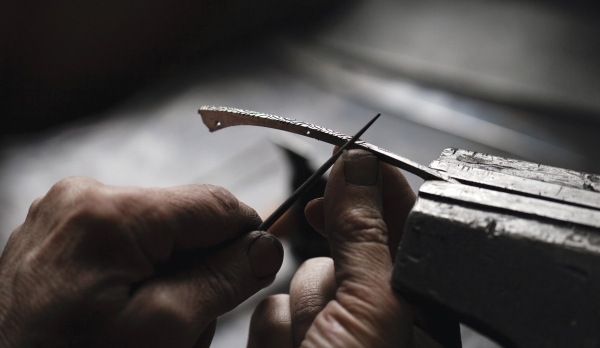 The cutlery firm is also a member of the Esprit de Thiers® label, the main purpose of which is to defend ancestral expertise and showcase the latest technological developments in the French cutlery sector. 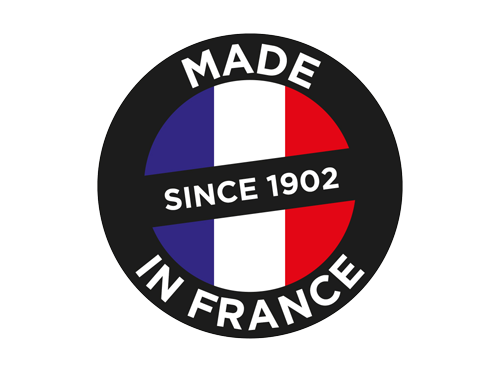 Esprit de Thiers® seeks to be the standard bearer for this « Made in France » quality on the international markets. From the outset, the firm has been a member of the Confrérie du Couteau de Thiers, an association that boasts 200 members, all manufacturers in the Thiers cutlery basin or amateur knife makers, and all enthused with a passion for the shape of the THIERS® knife.